of the Blessed and wondrous night! It takes courage to create your dreams and reveal them to the world. Sometimes things have not always gone the way I had hoped and worked toward in my life. Yes there were some heartbreaking moments. With love in my heart I keep going, my dream walking by my side today. My little muse holding my hand. With courage I move forward and continue on. This song "Moonriver" reminds me to love my dream and look toward the beauty of possibility that still remains inspired by the wonder and love in my life. 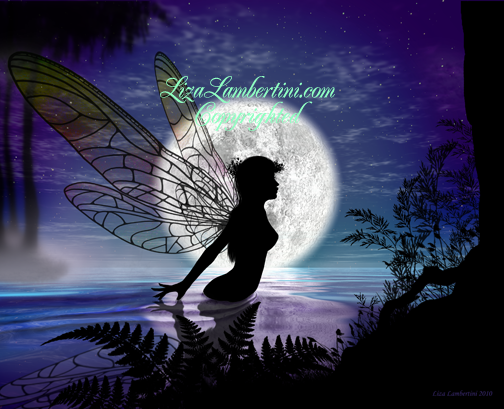 The veil of faery has been lifted and my heart rejoyces in those magical moments. I believe.